Makro operates 21 stores covering all major metropolitan areas in South Africa, plus the outer regions of Polokwane, Nelspruit, Bloemfontein and Port Elizabeth. While these stores are similar in design, they differ vastly from each other due to their widely varying consumer behaviour and consumer demand. Understanding exactly who our consumers are and what they want to buy is key to building a winning wine range in any big retail space. Typically, Makro has a core range covering 70% of our listings across our 21 stores. These are the wines customers see advertised most, so being in stock at all times is of the utmost importance. The remaining 30% of our listings includes nice-to-haves, award-winning wines and innovative new products. It’s in this space that Makro finds its opportunity to create ranges that set us apart from other stores. It’s ultimately consumers who determine the range sold in any store. This can make it challenging for new listings, especially as the wine industry is currently saturated and consumers are spoilt for choice. Tough decisions are needed as every new product listing can jeopardise existing listings and threaten the responsibility retailers have towards producers. The biggest challenge in the retail sector is space – you never have enough of it – and there’s an increasing demand from producers to have their bottles on the shelves. The size of the facing on shelf is vital. From experience we know there’s no point in giving a producer only one facing – it leads to no sales and adds no value. The trend currently is that national listings are becoming fewer and more focused in certain areas and stores. As a result, focused brand building offers more of a win-win scenario and goes a long way in reducing risk. In retail, the risk lies in the stock you carry because you’re always aiming to strike the perfect balance between the stock you keep and the rate at which it sells. For brick-and-mortar stores it’s imperative to get consumers into their sites and once there to help them make their shopping decisions. A big focus for us is our broadsheets and national promotional activities. These are the carrots we dangle to attract consumers to our stores with great deals. Once inside it’s the retail experience itself that sets us apart and customer service is a fundamental basic that you can easily achieve with the right calibre of employees. Makro is fortunate that in all our main wine-focused liquor stores we have well-trained wine consultants to advise customers. This in-store experience is vital to our aim of encouraging customers to leave our stores with far more than they initially came to buy. It’s the whole basket we’re after and in a store environment there’s greater opportunity to entice shoppers with our offering. From clever merchandising to highlighting promotional items, the impact of winning displays can’t be overestimated in the retail space. Remember, wine is an aspirational consumable that has a very strong feel-good lifestyle connotation. As retailers, it’s our responsibility towards our producers and consumers to breathe life into this aspiration. We do this by ensuring that the in-store experience we create is aligned not only to our beliefs as a company, but also to the full range of products we sell. After all, you can’t create a theatre of food and wine without a great crew, a beautiful set and some shining stars. 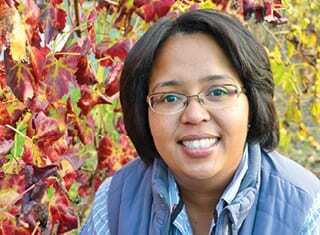 In 2003 I worked at a wine store while completing an economics degree at Stellenbosch University. Apart from visiting every winery within spitting distance, attending trade tastings was valuable for discovering new wines and tasting what was on the shelf. At the end of my final year, my colleague James Pietersen and I believed we’d tasted every single fine wine available on the market. Fast forward 15 years and remarkably James and I are still working together. Although the vineyard area has dropped significantly, the Platter’s wine guide has more than doubled in thickness over the past 15 years and we now certainly can’t profess to have tasted all the entries. We discover new and exciting wines on a weekly basis as the industry has exploded with small producers, new varieties and a gung-ho attitude. Working at a wine merchant today must be one of the most enjoyable and rewarding professions. Every customer that enters the door is eager to talk wine and get insight into the burgeoning industry and characters shaping it. 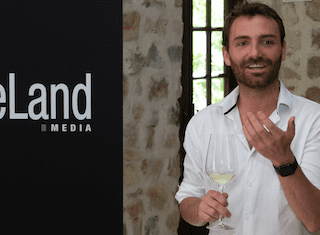 Consumers, locally and internationally, are amped to find the next Eben Sadie, taste forgotten old vines or find a rare bottle that somehow didn’t sell out on release. The relationship with consumers can grow for years as return visits offer feedback and bring new questions, creating a finer understanding of consumers’ preferences. Finding the right product mix in today’s market is a difficult task, especially considering the recent surge in price inflation and pool of new brands. Keeping the big brands (only those you appreciate of course) is important for more conservative consumers. Offering young gun, hipster and natural wines is also required to keep the selection exciting, especially for more adventurous consumers and a new generation of wine lovers. These wines can be risky to sell however. Often low in alcohol, more savoury in character and sometimes completely wacky, they push the boundaries in every respect and often require hand-selling. There’s also a real possibility that a new wave of skin-contact Verdelho may be returned or worse, leave customers with a bitter taste in the mouth. Buying wine for an online retailer is not too dissimilar to buying for a brick-and-mortar store, although hand-selling is of course more difficult. Customers rely on newsletter campaigns, curated content, email communication and marketing events to make a decision. Trust is gained by consistent, skilful wine language that offers customers an idea of the taste of the wine without tasting it. Each new wine relies on elegant communication, matching the specific words, styling and design to the wine. The audience is also larger and therefore the number of stock keeping units (SKUs) increases. Speed and efficiency of purchasing, content production and merchandising become far more important. The number of empty shelves is infinite and stock reports become ever valuable to ensure the business is running at an optimum capacity. 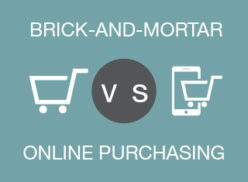 Gone are the days that brick-and-mortar buys are considered to be more expensive. Online retail requires a huge staff contingent, efficient logistics and massive technological investment in order to keep ahead of the competition. Growth is boundless and opportunities are aplenty, meaning buying must always be kept in check and investments considered. As we enter the fourth industrial revolution online wine retail is also set to change. Wine releases will be instant and seamless, stock pinpoint accurate and same-day deliveries the norm. What remains of paramount importance however, is the critical assessment of new wines and skill at communicating their attributes. That’s until AI takes over the wine-tasting function too.